Gear Cutter Inspections | Gear Cutter Repair Service | Maxwell Tools Co.
Maxwell Tools guarantee includes on-time delivery, first-class quality, and an ultimate commitment to service. Whether supplying products to the gear manufacturing industry, screw manufacturing industry, paper cutting units, earthmoving equipment manufacturing units, we will meet the needs of each and every customer. At Maxwell Tools we will work together with our customers to supply top-quality products and to create a partnership for success. We are proud of the many specialties that we can offer to the industry. Whether it be small parts production or one of our many other services, our well trained and experienced technicians provide you with the maximum quality, service and in-house production control. Our versatility, flexibility and our vast range of machining capabilities have made us an industry leader. We continue to expand and are pleased to offer an additional office in U.S.A. If once your gear cutter has failed, you can ship it directly to us for repair. Before starting the repair we’ll send you an offer with repair costs and delivery time. 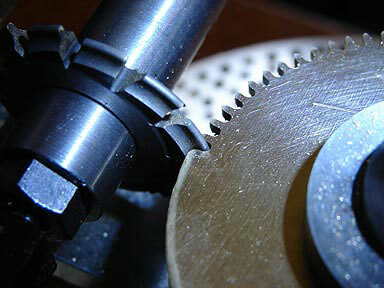 You then can decide whether you want to have back your gear cutter unrepaired, repaired or you want to order a new one. So far as it is possible we go by your appointment wishes. If you have problems with the gear cutters or cutting tools despite our quality controls, don’t hesitate to contact us. We will arrange that everything will be put in order and the fault is avoided in future. For example to the use,longer life,efficiency What must be taken in account before or during initial operation?